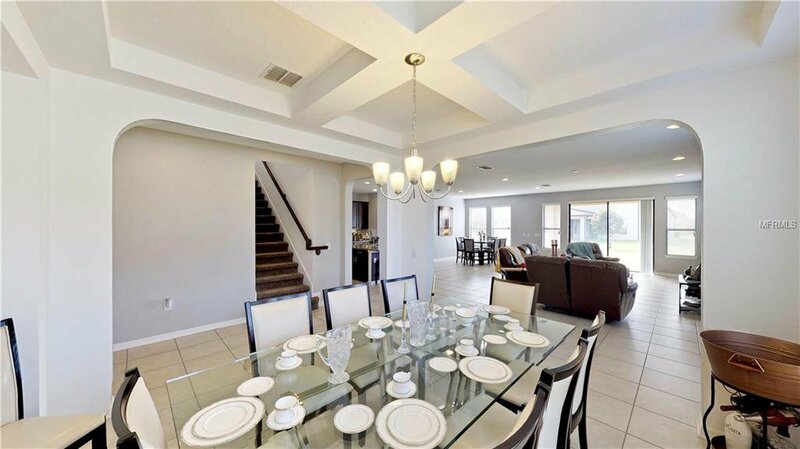 *View the 3D Tour* ---BUYERS JUST WALKED - APPRAISAL & INSPECTIONS ARE DONE, HOME APPRAISED AS WELL! 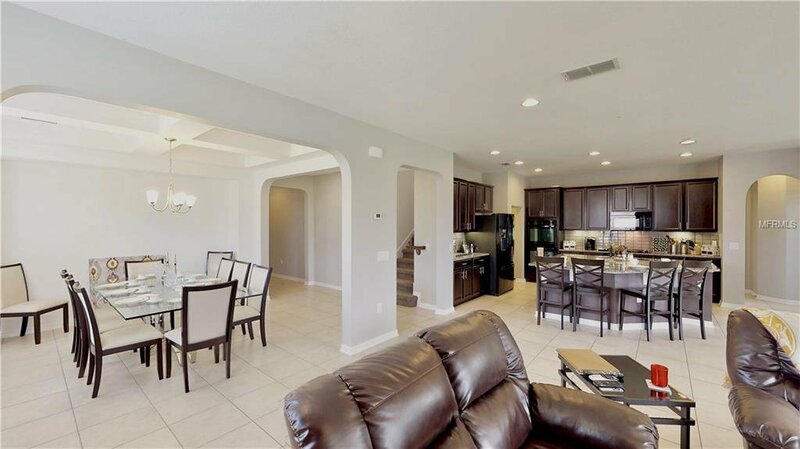 -- Large 2 story home, 4 years young & designed by Standard Pacific offering a fantastic open floor plan & all tile extending from the front door foyer, past the formal dining room, Huge kitchen, expansive family room, cheerful dinette, and sliding doors opening to the covered patio with brick pavers. 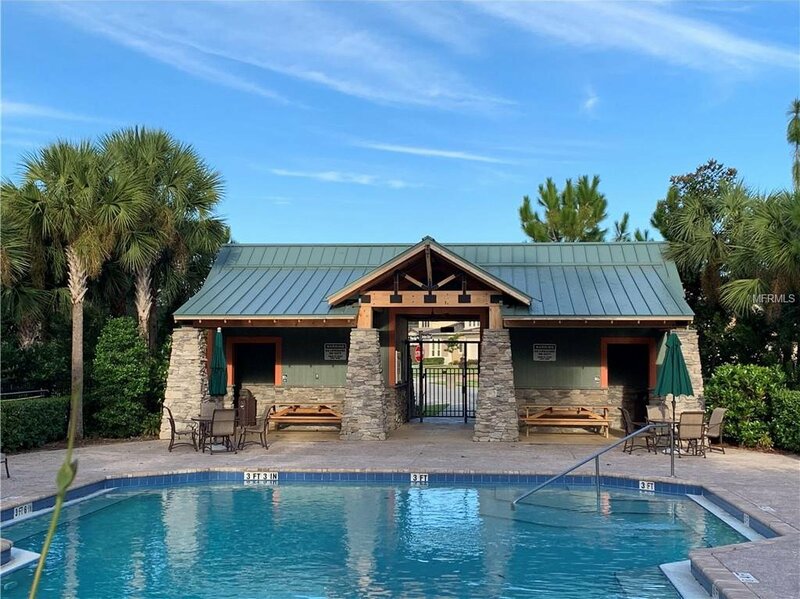 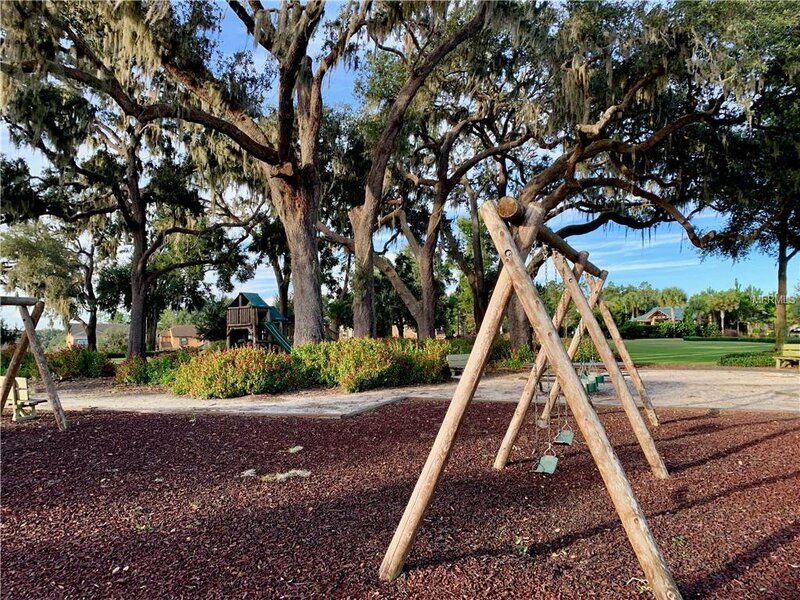 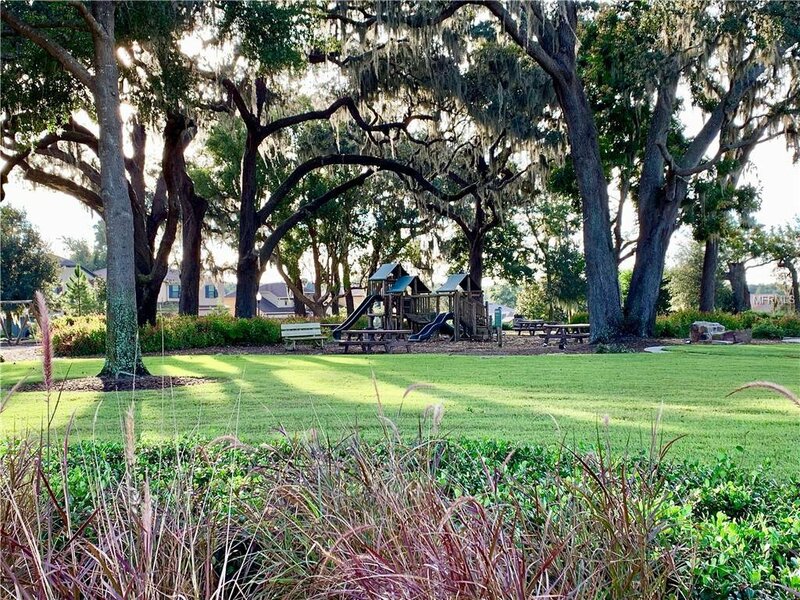 Welcome to Arden Park, a community designed with magnificent mature trees & amenities such as large parks & play areas plus a "wilderness themed" community pool. 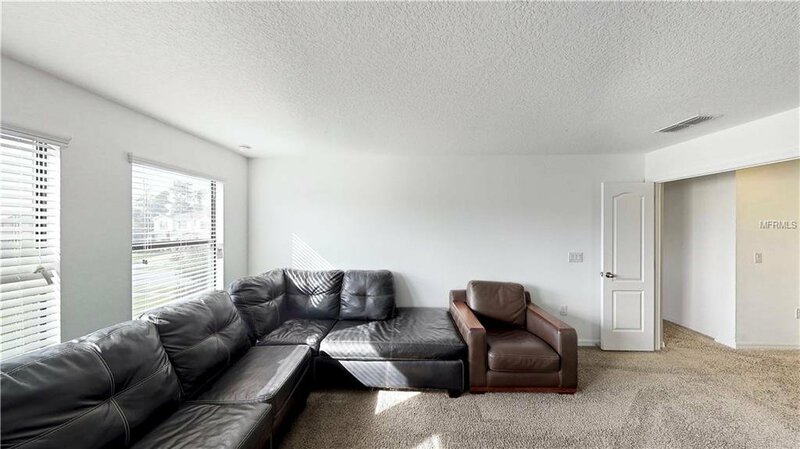 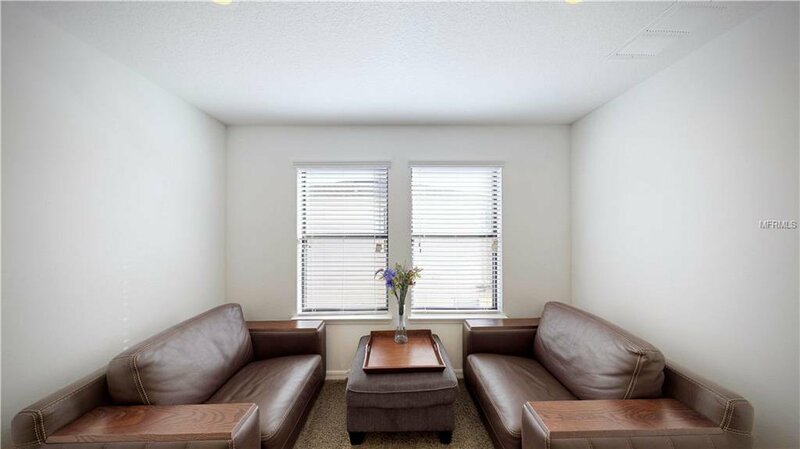 If you are looking for a home that offers plenty of elbow room, a bright & cheerful interior, space to entertain huge parties Plus energy efficiency, well you have found it. 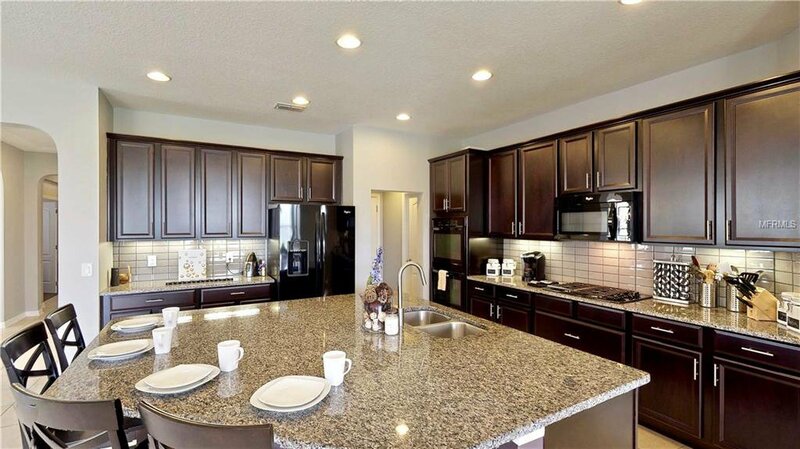 The kitchen is awesome! 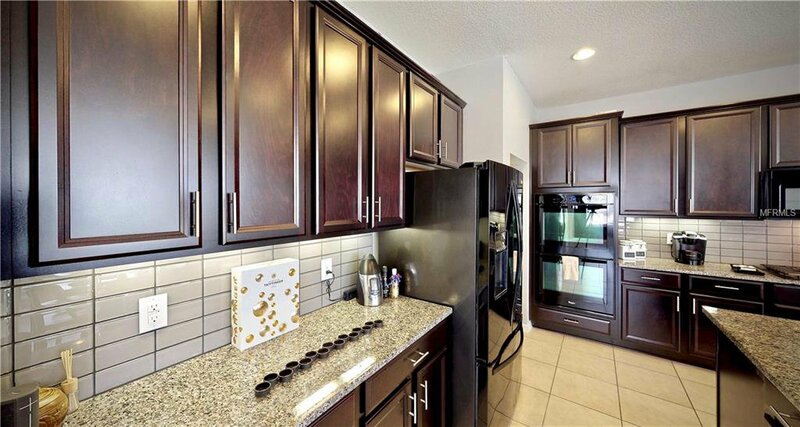 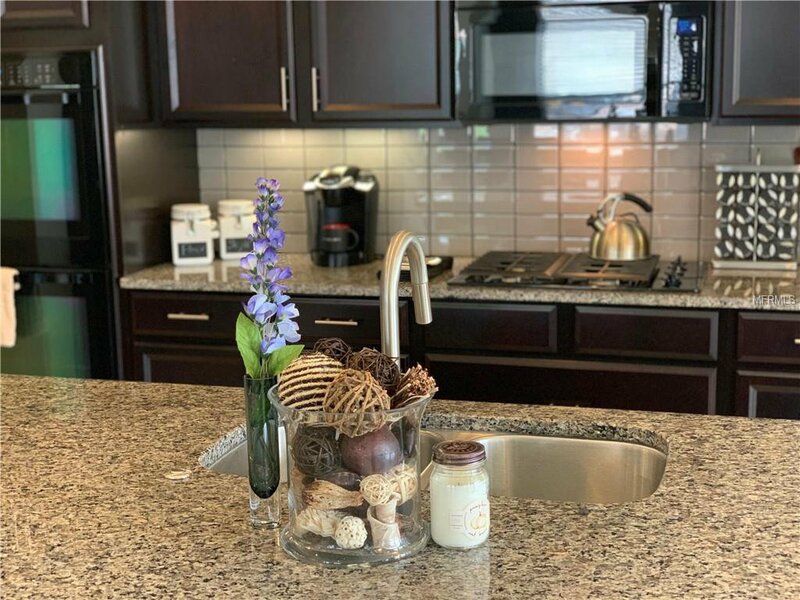 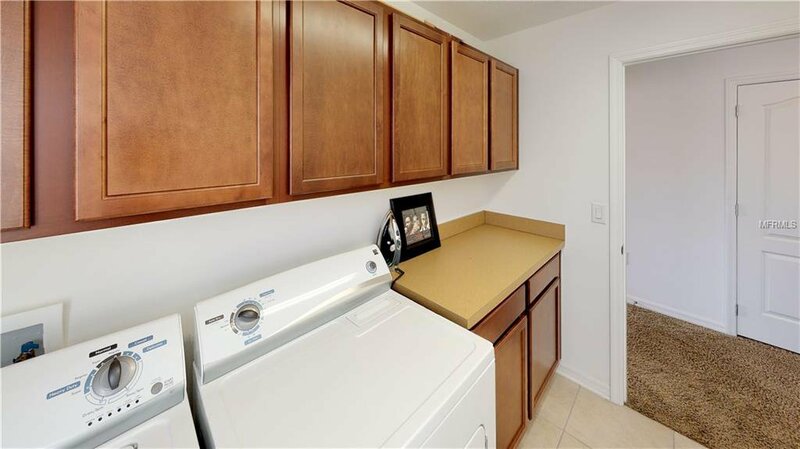 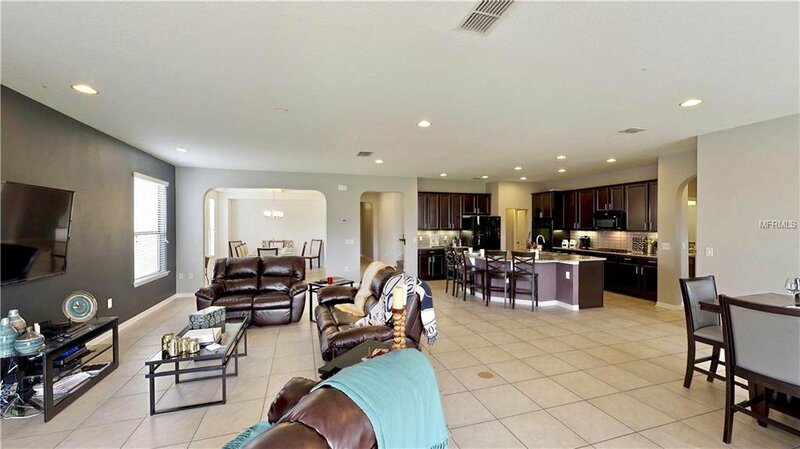 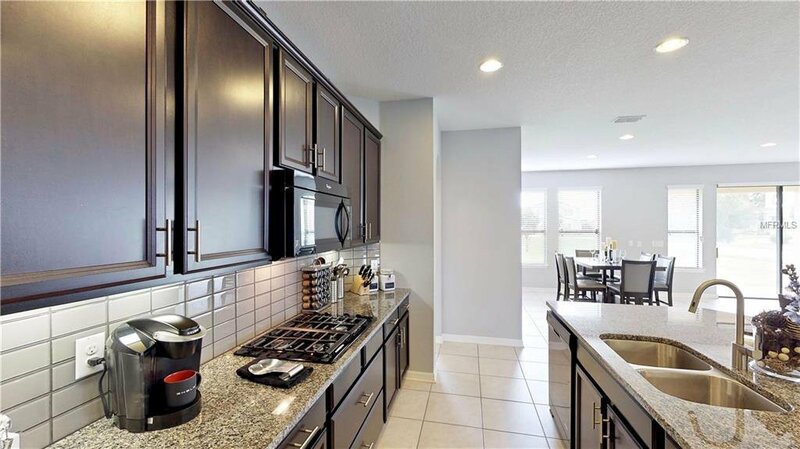 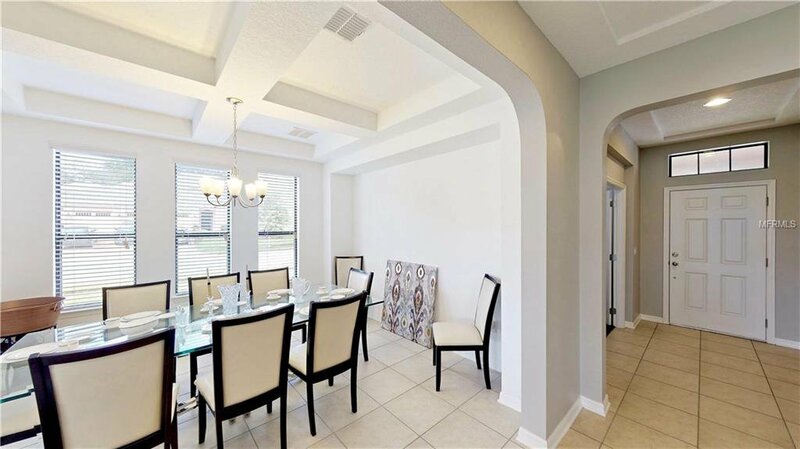 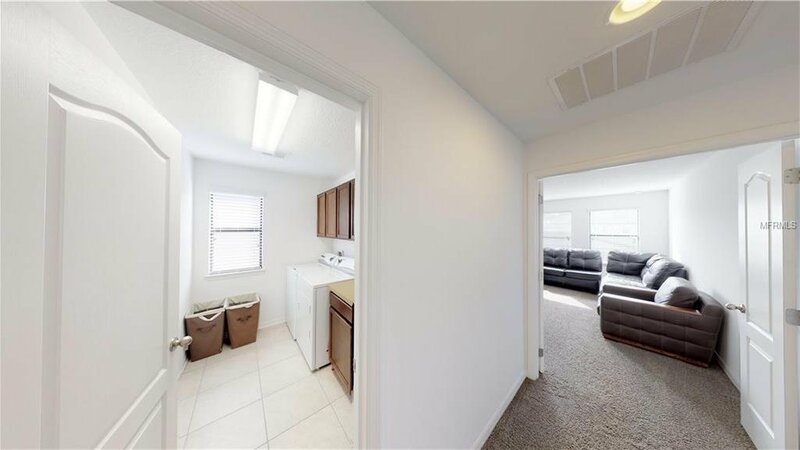 A humongous center granite island invites everyone to assist with dinner utilizing appliances such as a natural gas cook-top, true double ovens, exterior vented microwave + many cabinets & walk-in pantry. 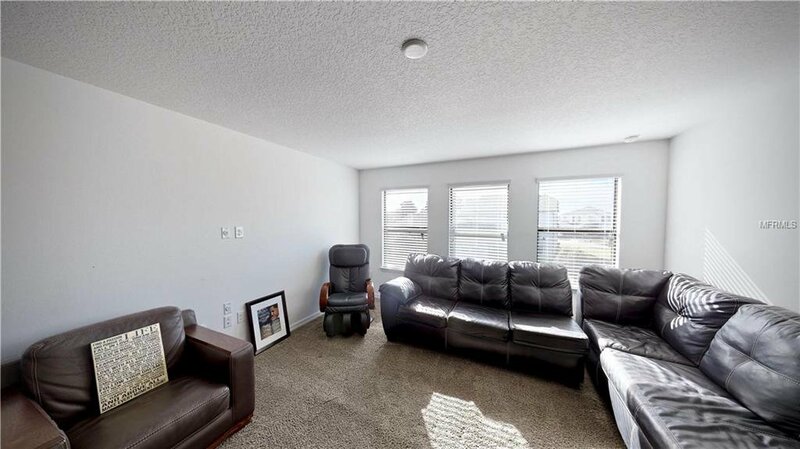 The family room, pre-wired for surround sound, has plenty of room for large furniture. 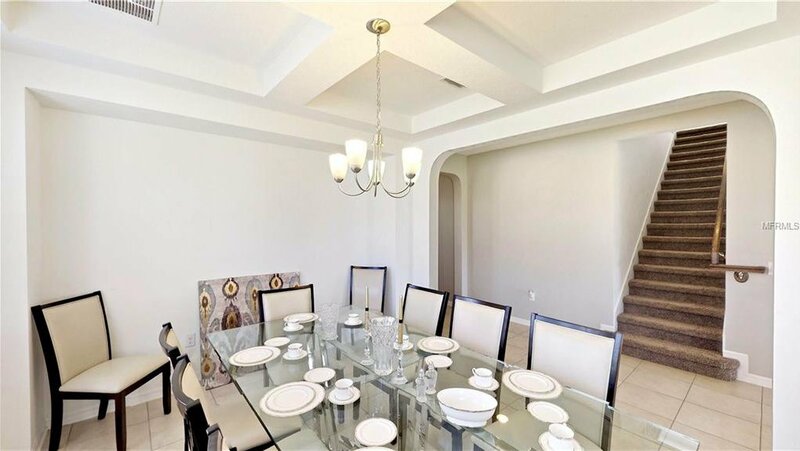 The dining room is perfect for a large table. 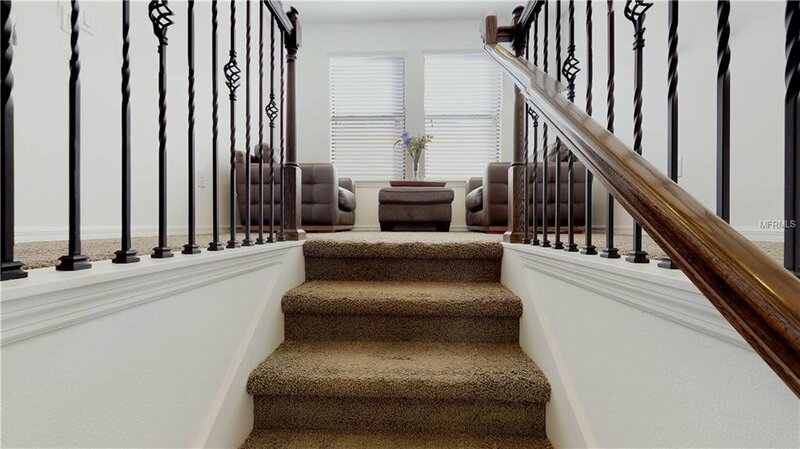 There is a 1st-floor full-guest suite nearby to the upgraded wrought-iron staircase leading to the 2nd floor. 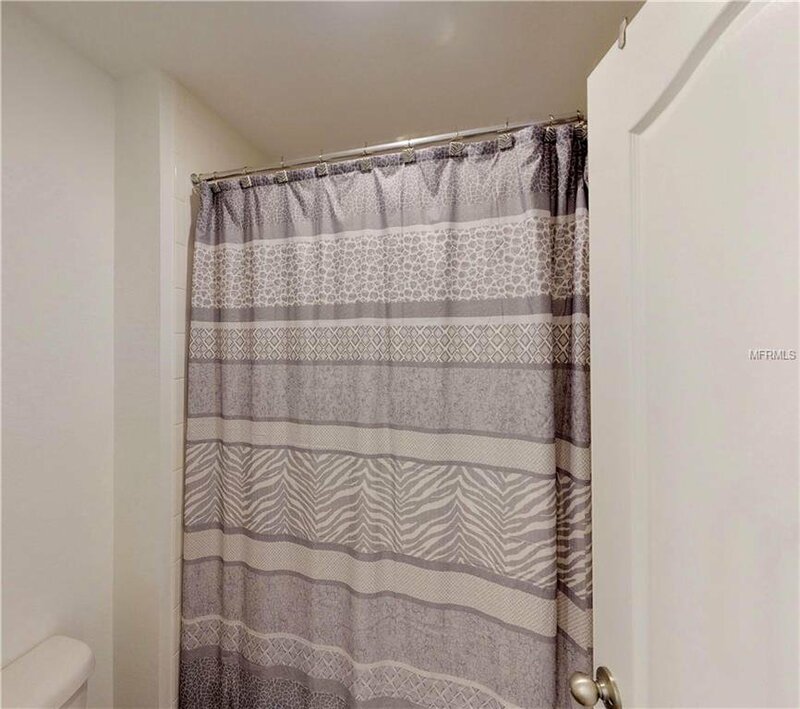 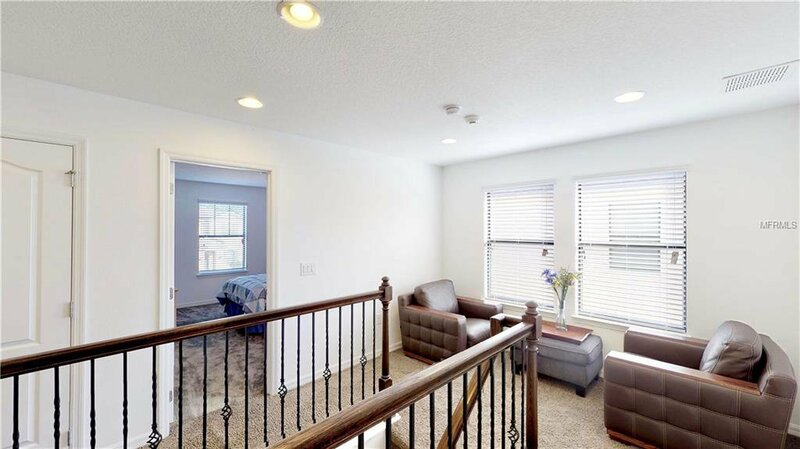 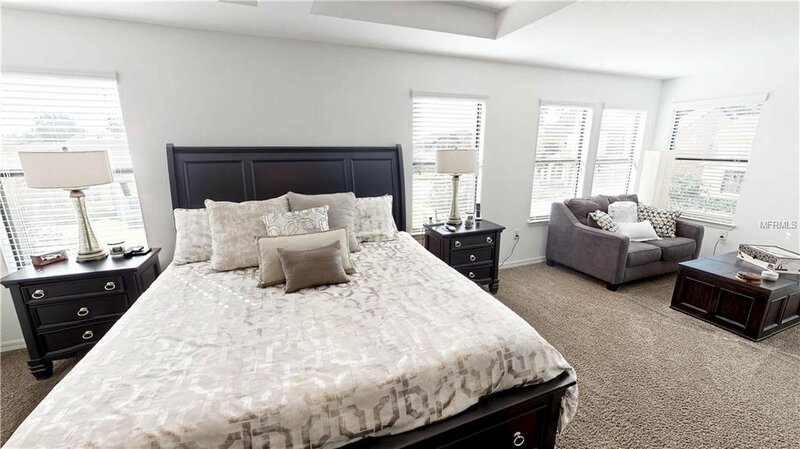 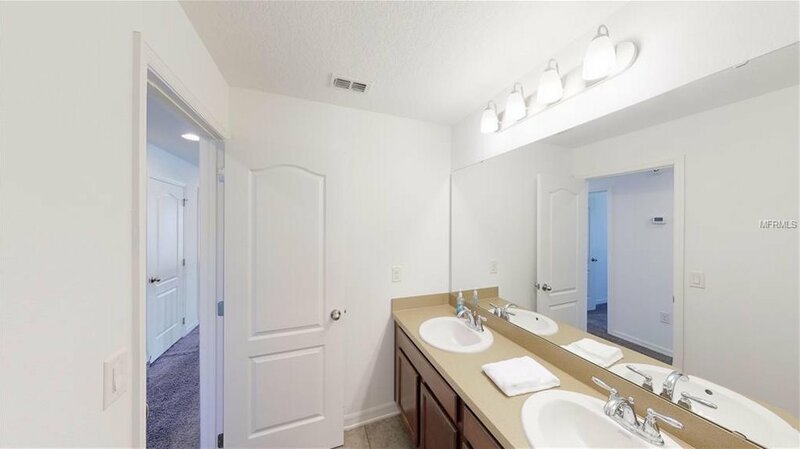 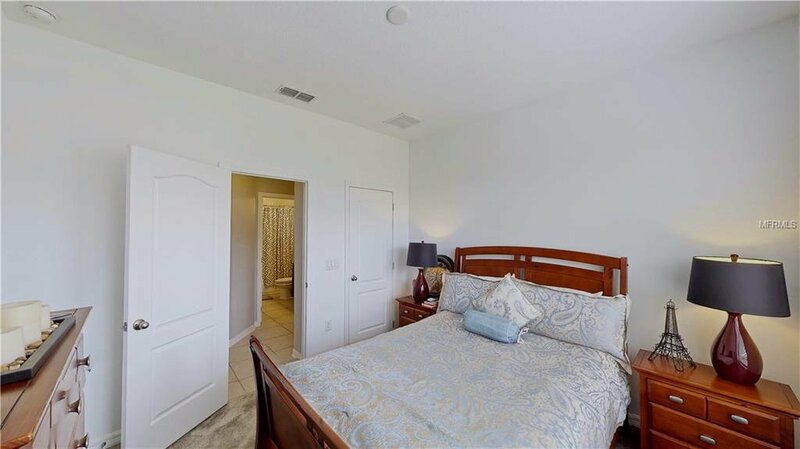 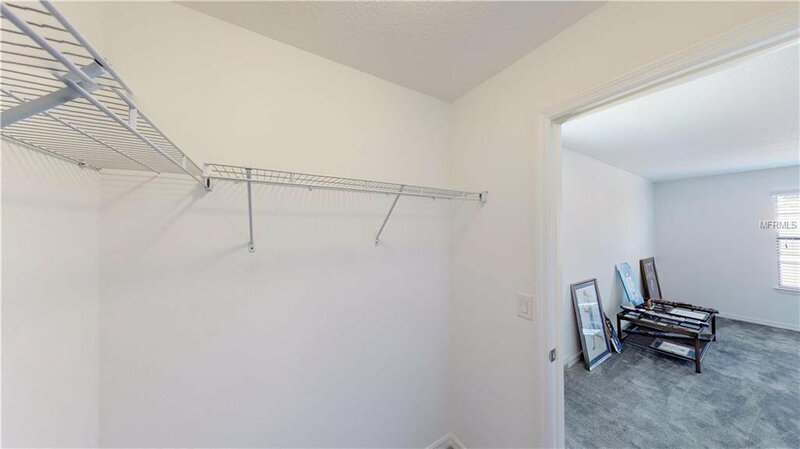 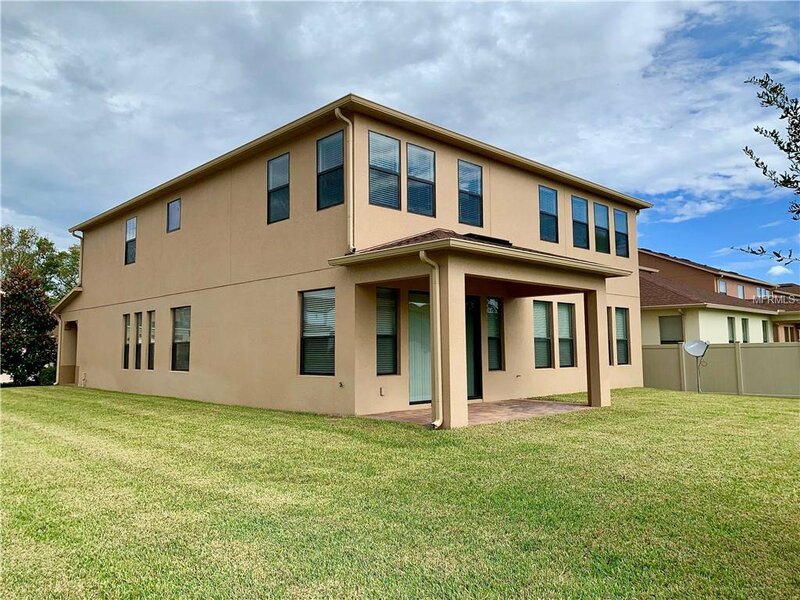 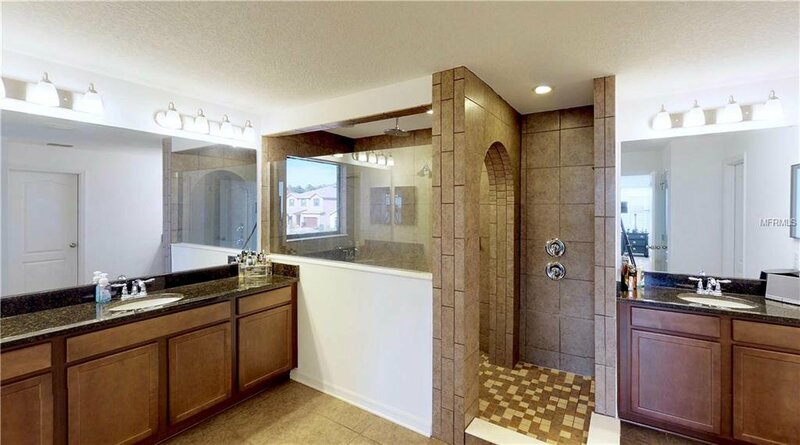 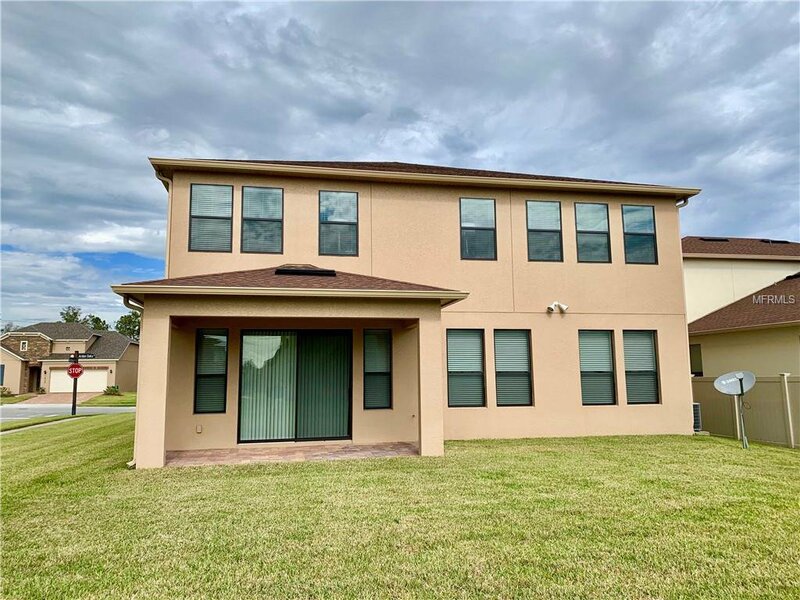 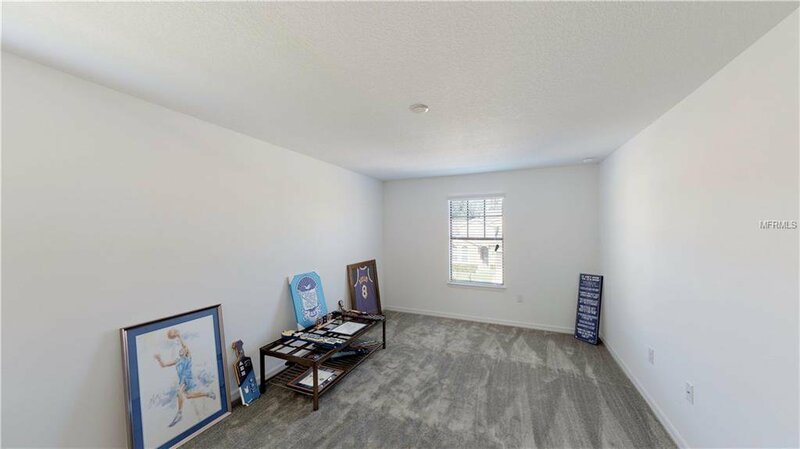 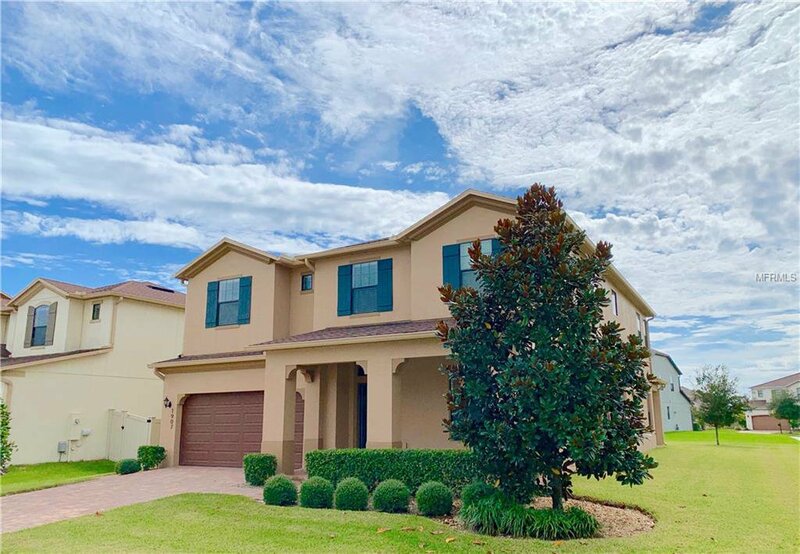 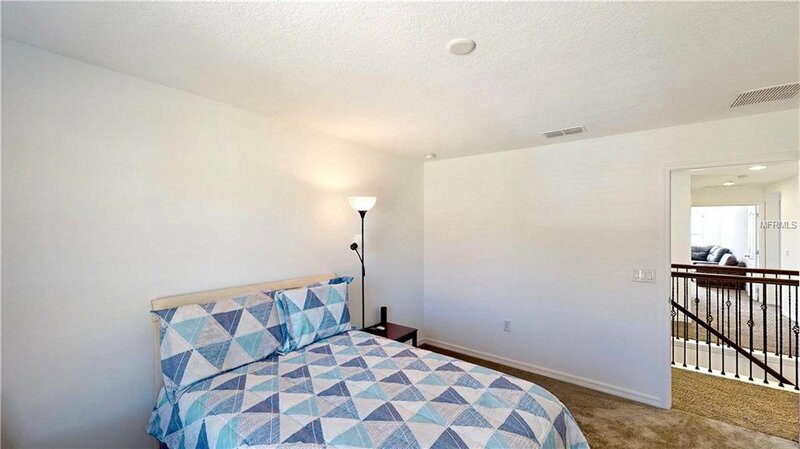 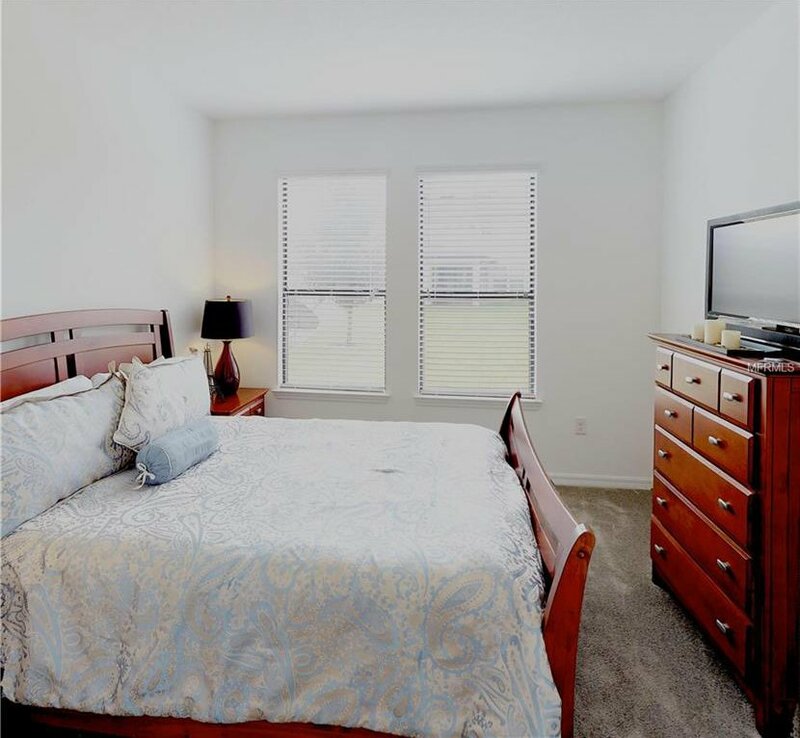 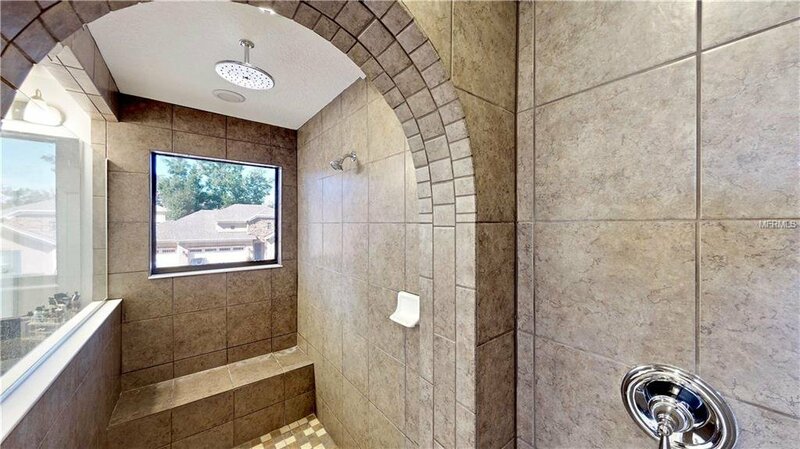 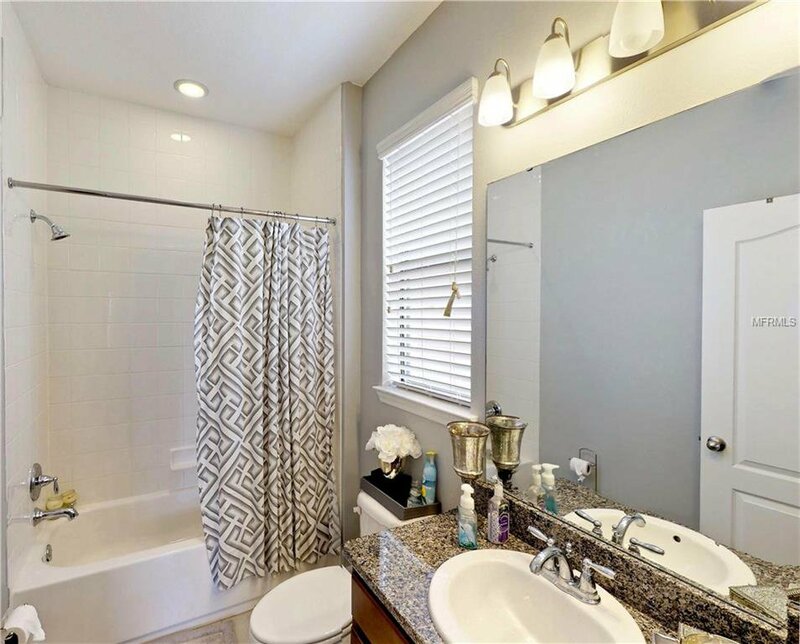 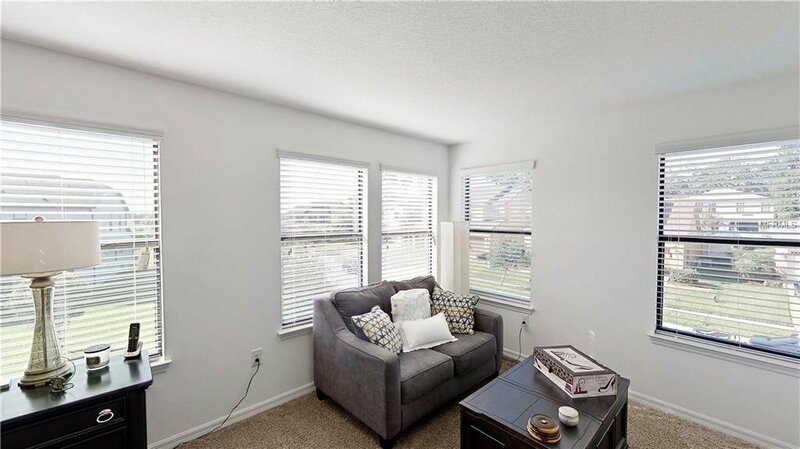 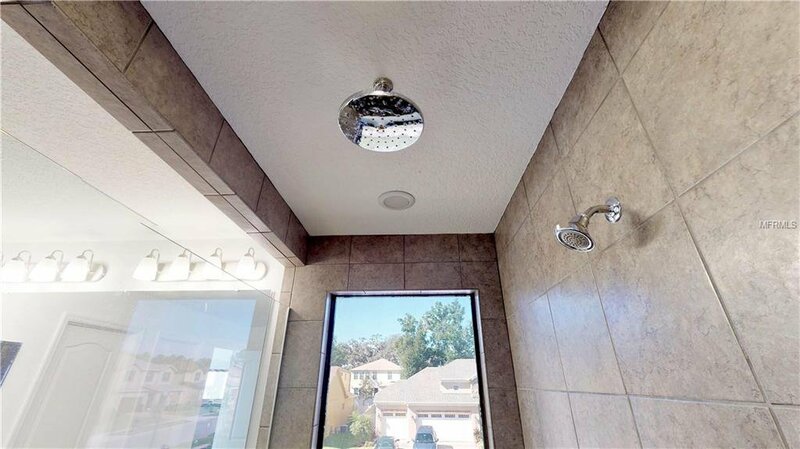 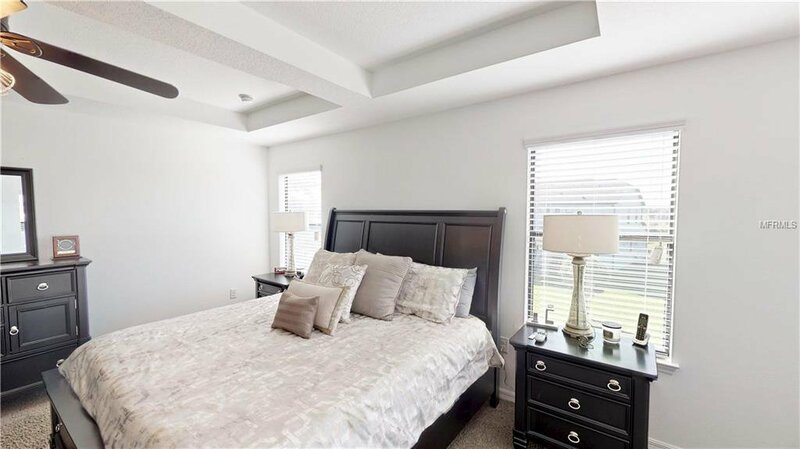 Upstairs you will find a 17x25 corner master suite with coiffeured ceilings, sitting area & master bath with Rain shower, separate vanities & 2 walk-in closets. 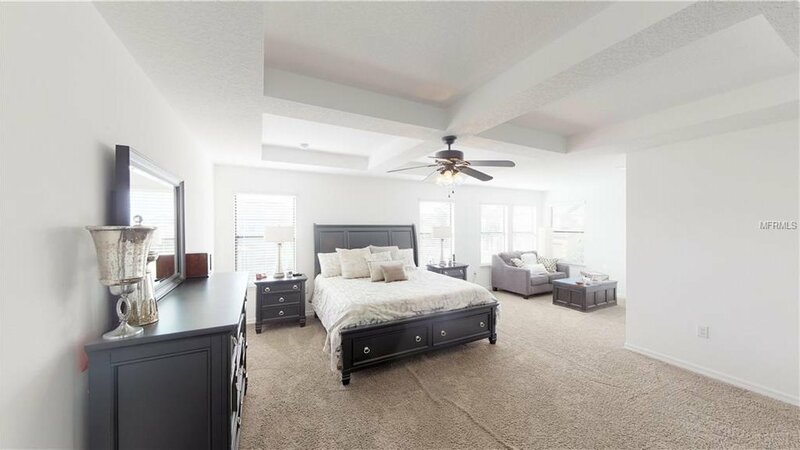 There are 3 other bedrooms, another full bath Plus a laundry room, loft landing & 14x17 family/media room. 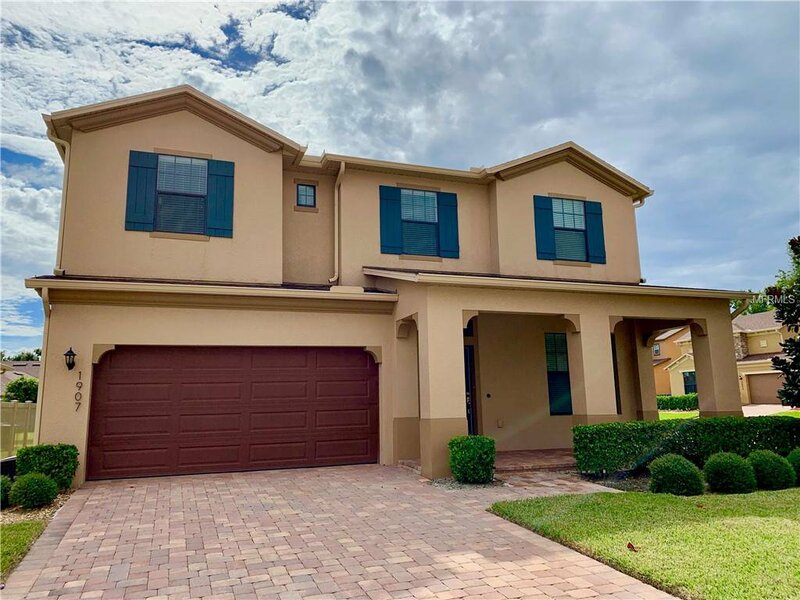 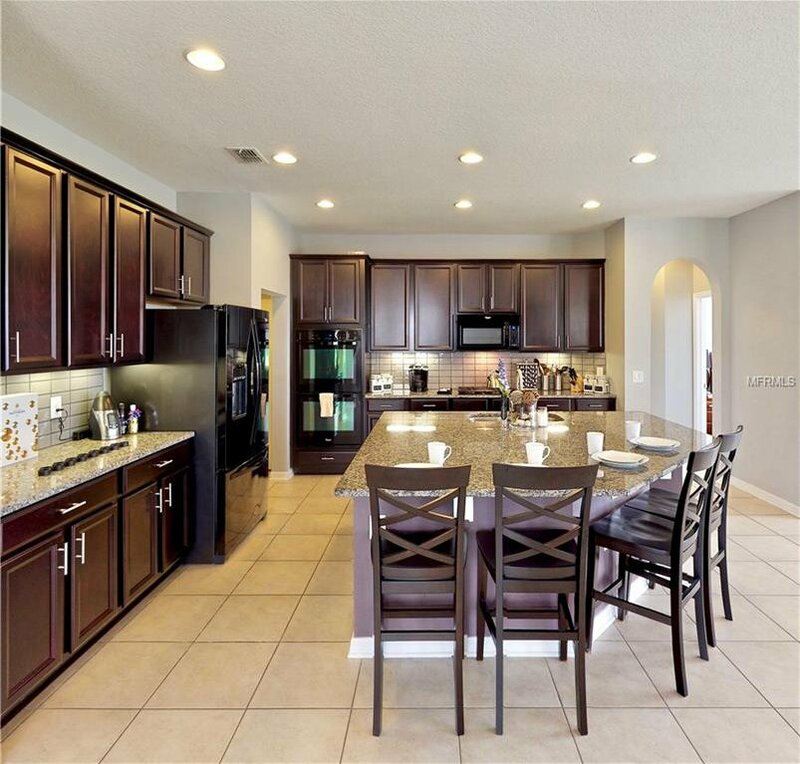 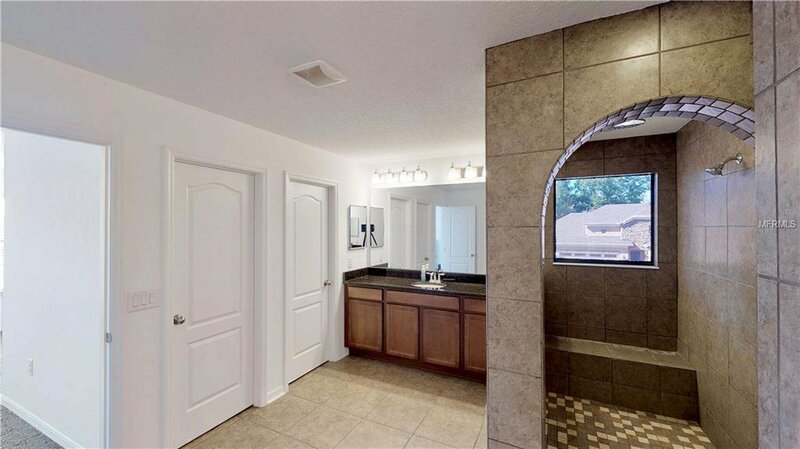 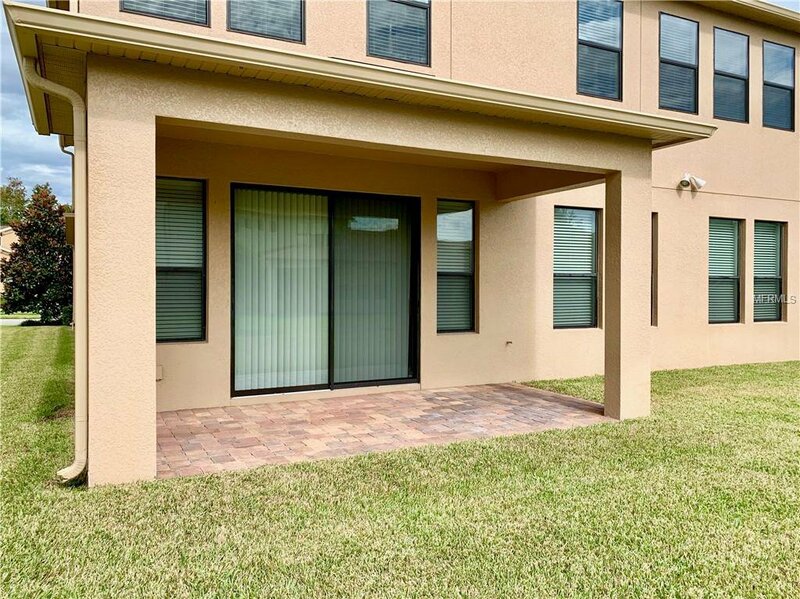 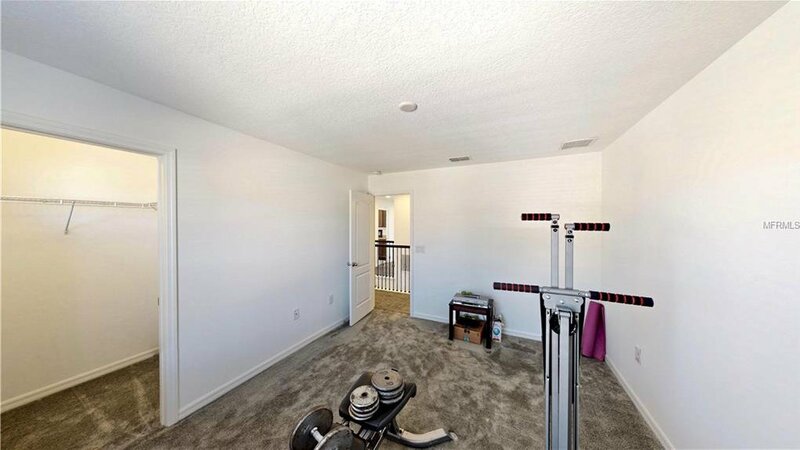 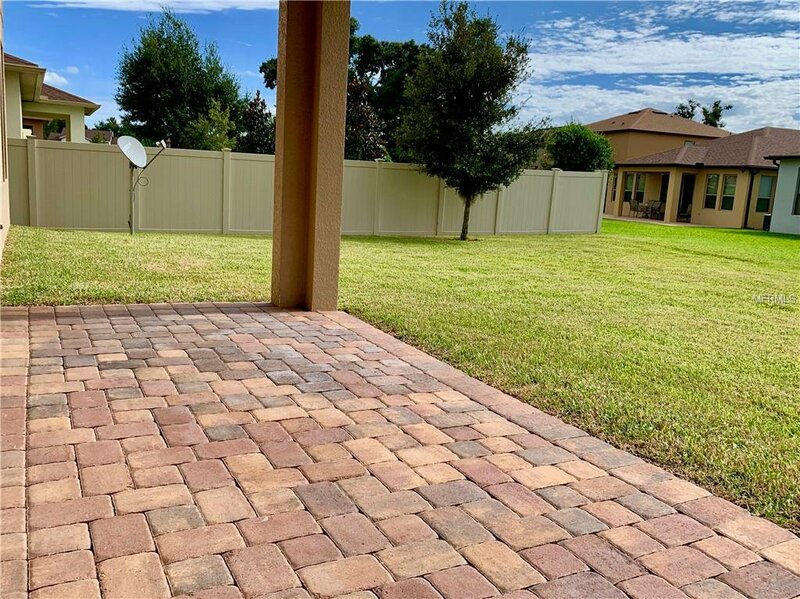 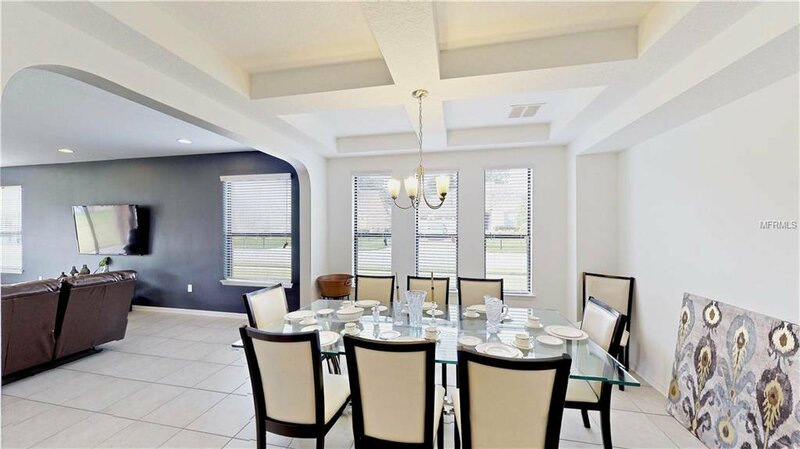 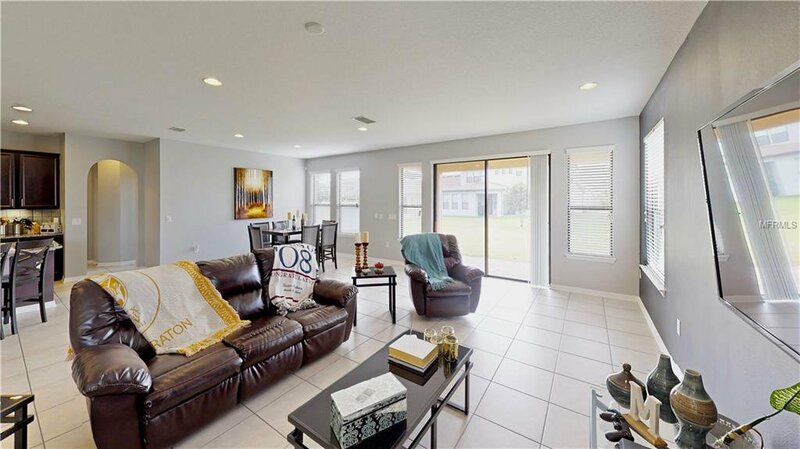 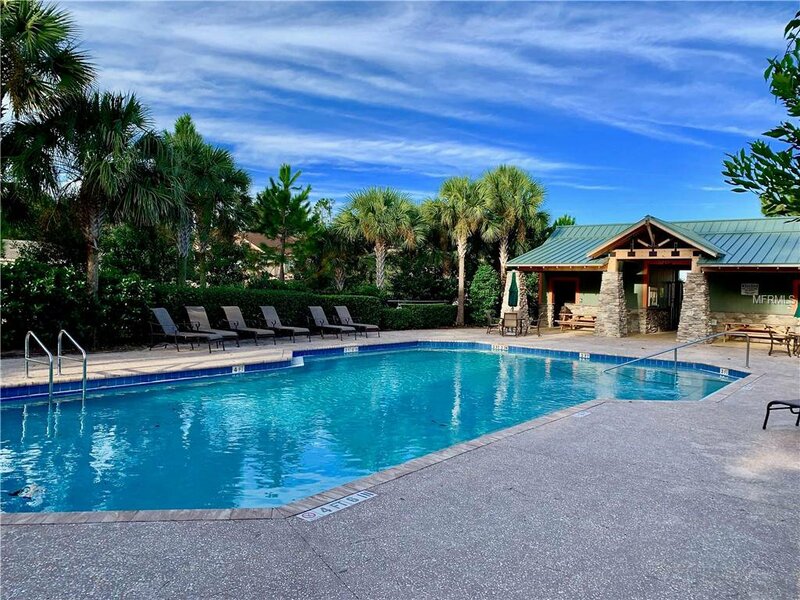 Nearby 429 with access to the 408 & Turnpike.